Get Great Car Hire Advantages In Romania On Your Next Trip! Are you planning a trip to Romania in the near future? 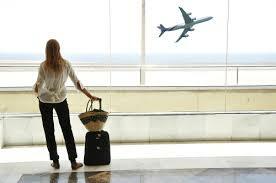 If so you will need to hire a car so that you will be able to reach all of your destinations without complications. Tourists who are planning vacations in Romania will need a car so they can visit all of the tourist attractions like the numerous castles that are scattered throughout the country. Tourists will also want to know more about car hire advantages in Romania when they are planning their trip. The car hire industry in Romania has been growing at a rapid pace over the past years. Car hire agencies provide tourists and business travelers a wide range of vehicles to choose from. The vehicles can be used for the length of the trip and a car hire provides a more convenient and affordable option than trying to buy a vehicle. You can find advertisements all over Romania for car hire services but if you are traveling from overseas you can begin your search online from the comfort of your home. When you are looking for a car hire company you will want to choose a company that has excellent customer service and a company that has a stellar reputation. You want to choose a company that will work hard to make sure that the hire process is stress free for you and that you are able to hire the car that you requested from their website. Other car hire advantages in Romania include being able to drive latest model vehicle while you are on your trip. Most car hire providers in Romania offer customers the opportunity to have a short term hire or a long term hire. If you are planning to hire the vehicle for a week or less you can choose a short term hire. These hires are typically based on daily rates and you simply return the car at the end of the hire. A long term hire is best for drivers who are not certain how long they will need the vehicle. You can hire the vehicle for a flat rate and return the car when your hire is over. Unlimited mileage, roadside assistance and no hidden fees are other advantages that drivers can enjoy while having a car hire in Romania. These advantages are another reason why the car hire industry in this country continues to grow. In order to enjoy car hire advantages in Romania you must have a valid driver’s license and be at least 21 years old. Pay attention to road signs while driving and be aware of horse drawn carts that may share some of the roads with you.